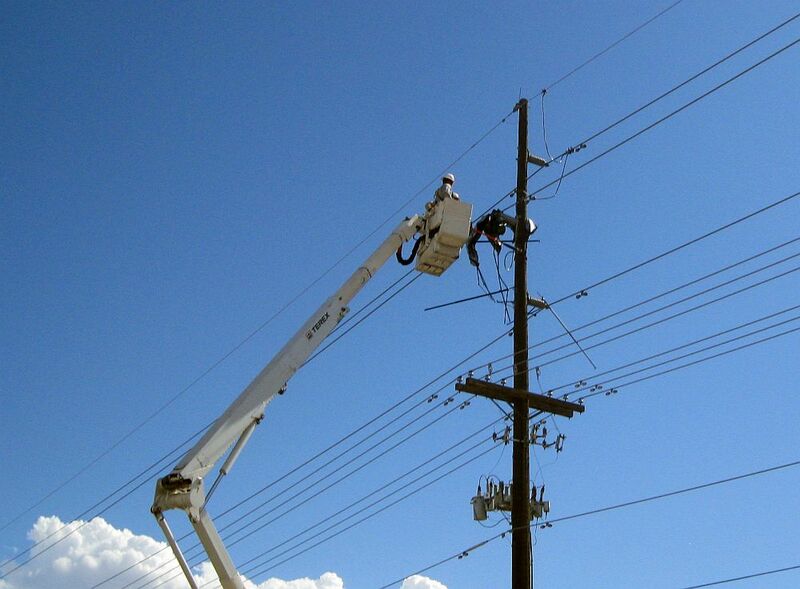 ST. GEORGE – Residents of the east side of St. George were left without power in the 100-degree plus heat Sunday afternoon when a power outage occurred. 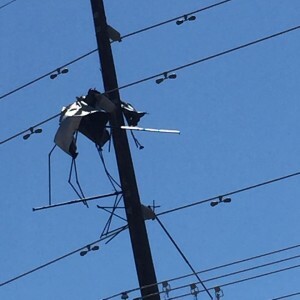 A push-up canopy, originally reported to be a tent, was blown into a power line and got tangled up in it. 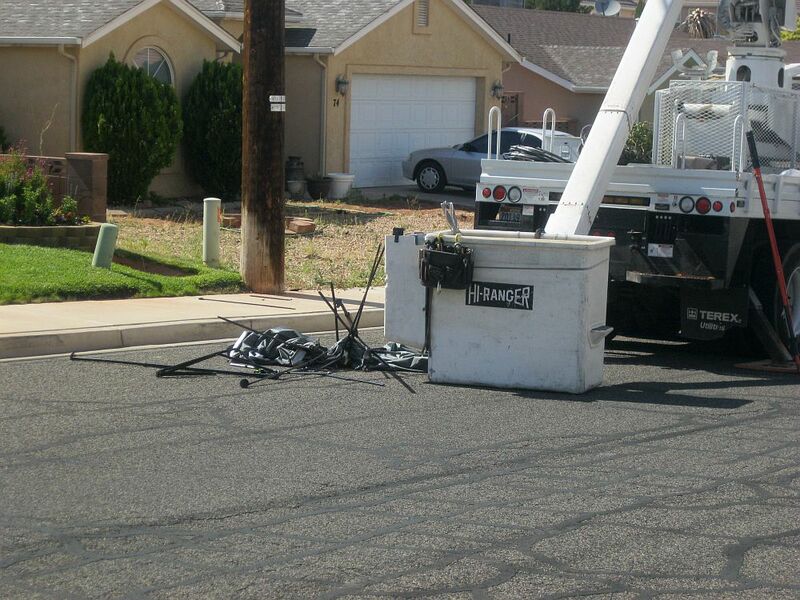 “Looks like we had a micro-burst come through, picked (the canopy) up and sent it up into the power lines,” Rick Madsen, energy distribution supervisor for the City of St. George Energy Services, said. Residents in the area of 45 S. 2000 East, where the power line was located, reported hearing a loud “boom” before the power went out. The areas affected by the outage included 2450 East to the east Black Hill and the river up to the freeway, Madsen said. Areas all served by the Panorama substation. Repair crews utilized temporary “grips” to keep the lines in place until permanent repairs could be made. 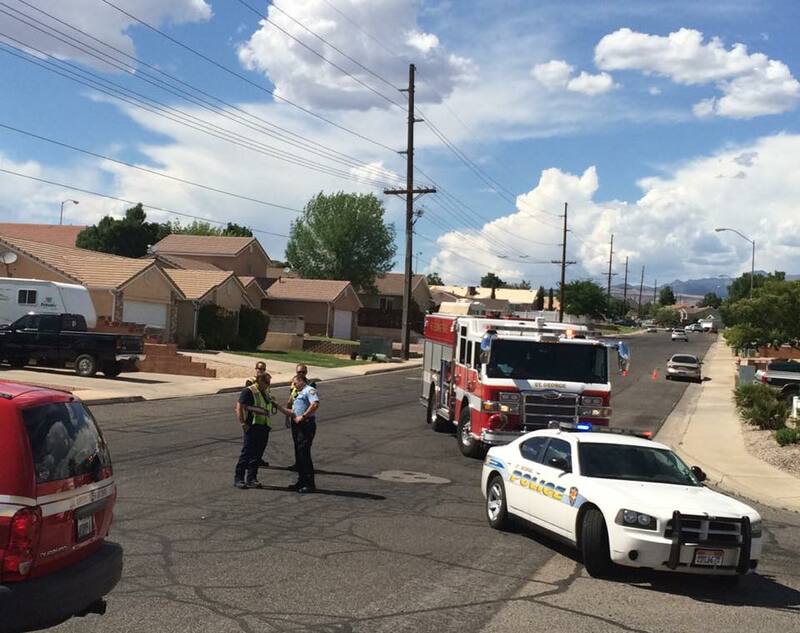 Units from the St. George Police, St. George Fire and the City Energy Services responded to the outage. The power was restored to the area just after 5 p.m.